Fort Valley State University is gearing up to give a special blue and gold welcome to more than 802 new students arriving on campus this week. 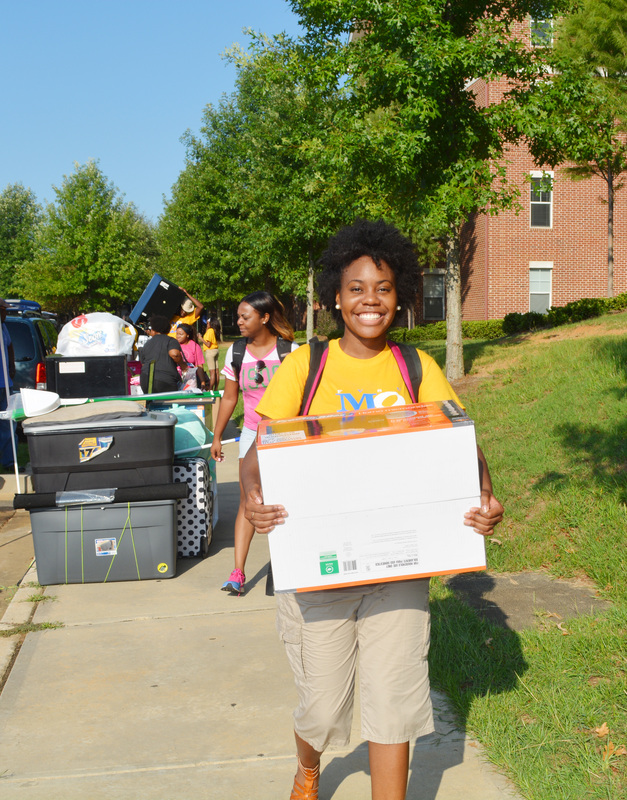 During Wildcat Welcome Week, Aug. 11- 14, students will get an exciting introduction to the college experience at FVSU. Check in begins for new students today at 9 a.m. in the C. W. Pettigrew Center, then move in starts at the Wildcat Commons. All freshmen, transfer students and their families are invited to attend the New Student Assembly at 9 a.m. in the Health and Physical Education Complex on Friday, Aug. 12. “FVSU is trying to get those first-time students adjusted to college life. With classes beginning Monday, Aug. 15, we’re bringing them in earlier, so they can handle the enrollment process and adjust to their new environment,” said Brian Byrd, director for campus life. According to Byrd the university has 50 to 100 student ambassadors, members of sororities, fraternities, the Student Government Association, FVSU President Paul Jones and university staff to help with the check-in process. The new Wildcats will learn about FVSU traditions and what the university expects of students: good behavior, grades and proper dress. “So far, we’ve seen over 500 students this summer alone in pre-orientation. The university is really excited about the numbers we’ve seen already in the summer; if it compares to the total enrollment of first-time freshmen our campus has seen last year, then we’re in for an exciting year,” said Dr. Stevie Lawrence, executive director for the Center for Retention Services. The university has a shuttle bus trip planned to Wal-Mart on Thursday, Aug. 11 at 8 p.m. A new student showcase called the “Wildcat Golden Lounge” is scheduled for 8 p.m. Sunday, Aug. 14. Students will perform spoken word, poetry and other entertainment. For more details, contact the First-Year Retention Experience program at (478) 822-1070, or visit www.fvsu.edu/orientation.